Home > 12 Packs Of Lobsters! > Land O' Lakes Butter > Fresh Lobsters! > Live Lobster 2 Packs! > Two pack of 1-1/2 Lb. Live Maine Lobsters! 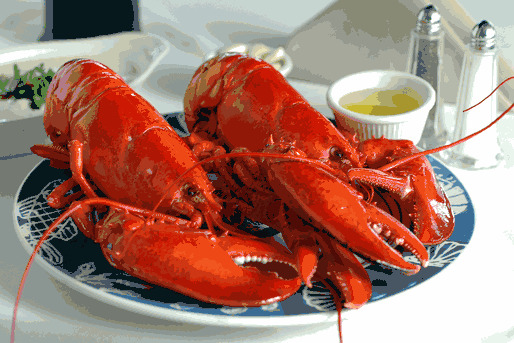 The 1 1/2 pound Live Maine Lobster Two Packs Are Sweet Eatin' Fresh Lobsters, And A Great And Affordable Gift Idea! Shipped Fresh Overnight To You Or Your Special Someone! Sweet Eatin' Fresh Maine 1 1/2 lb. Live Lobsters Ship Fresh Overnight Right To Your Door! Your Lobsters Are Hand Selected And Packed Up Just For You and shipped fresh overnight! My Mom received her lobsters today. Keep in mind she is an elderly woman with advanced Parkinson's, so she has very few pleasures left in life.Her words to me were "It feels like Christmas"
Thank you for the great lobsters! The packaging was great too. Will highly recommend you guys.